Build a Yoga practice one-to-one with your teacher, in a group setting. Each student is taught each posture individually with their teacher, and moves through the sequence at their pace and ability. Students of all levels practice alongside each other. Through repetition the sequence is embedded in the students mind and body, so instead of the teacher being at the front calling out the movements the teacher can be assisting and adjusting for students at all times. This style of teaching is great for complete beginners and seasoned Ashtangi's alike, simply because you get the individual focus of the teacher to guide you through each posture whilst learning them, and it allows you to learn at your own pace. Mysore allows for personal, individualised support at every session. This is the traditional method of learning Yoga. Intuitive healing massage, Swedish massage, deep tissue massage, organic facial massage, seated tension massage, reflexology, holistic beauty, and Reiki. Imogen practiced at home for six years before going to India and studying to teach. She furthered her training with renowned Ashtangi David Swenson. Two years later she completed a 500hr Soma Medicine Yoga teacher training which broadened her awareness of the more subtle aspects of Yogic practice. She spends part of the summer at UK and European festivals teaching and is currently working behind the scenes to bring out a high vibrational organic skincare range. 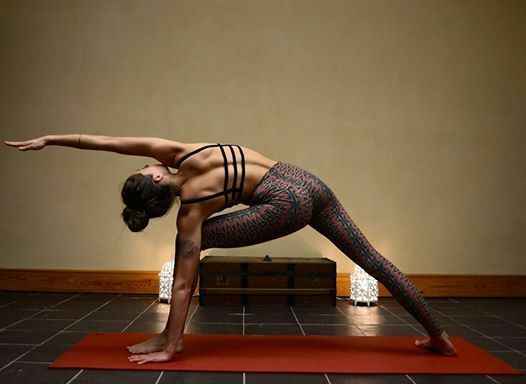 Imogen is the founder of Lunari Yoga Centre. 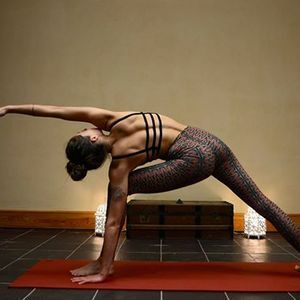 An eco Yoga and therapies centre based on a serene smallholding at the edge of Exmoor National Park where she offers Yoga classes, workshops, retreats, and therapeutic treatments. Mysore classes are £35 for a block of 4, £80 for a block of 10, or £10 drop in. Lunari Yoga Centre, Holwell, East Down, Barnstaple, Devon, EX31 4NZ. Just 15 minutes from Barnstaple/Ilfracombe.